There are 17 replies in this Thread. The last Post ( Feb 12th 2019 ) by Rice. Babelcube is a platform for book translation that has been around for some years. It revolves around a simple principle: to put in contact authors seeking to have their book translated with translators. The process is based on a royalty scheme where the translators get most of the share at the beginning, and ends up getting less and less over the years. There is no royalty after 5 years. If the book becomes a best-seller after that period, then no money Is due to the translator. What's in for the Author? Well, the chance of getting their book translated for free. The risk of the translation weighs only on the translator' shoulders - if the translation does not sell, then the translator do no get paid. Fair enough? Not so. Although this is an incentive to produce high quality translations (after all, it is in the translator's interest), it is also unfair because the translator works upfront with no guarantee to ever see a dime. How long does it take to translate a book and how much would make it worth? Let's start by saying that the royalty schemes below is based on the net amount. So, if a book is sold at 10 USD, the translator won't get 5.5 USD, but much less. Babelcube sends payment after 10 USD of revenues are accrued. Translating a book depends on its length, complexity and... incentive to do so. If the incentive is pennies, what's left is only the glory. An average book has 250 pages, or 70-80 thousands words. This means 30 full days of work, roughly one month and half. And it may all be for nothing. The translator doesn't get to fix the book price, so it may take forever before a 0.99 USD ebook makes the translator enough money to pay for a month and half of work. Besides not having control over the price, the translator cannot control the marketing channels and the advertising. Indeed, some authors specifically mention that they need 'not just a translator, but someone that after the translator will promote the book'. Of course also the promotion bit falls under the same contract, it is not paid if not from the subsequent sales. What kind of translation quality control is there? None. Well, after you are accepted as a translator, you should submit the translation of the first 10 pages for approval by the author. The author, obviously, likely doesn't speak your language and will ask a friend native in the target language for an opinion. If the author is happy with the sample, the book is confirmed and it should be delivered within the deadline set by the translator... it could be years if they wish so. If the author cancels after confirmation, he/she should pay the translator a remedy of 500 USD. If the translator fails to deliver the translation by the deadline, an extension is possible. Failure to ultimately deliver will result in a negative feedback and being kicked off the platform, in the worst case. How do you pick a book for translation? You can browse books available for translation in a given language pair (e.g. English to Spanish, Spanish to Italian, Spanish to English etc.). you can browse by category but it is not easy to browse. Each book is posted with a profile describing the author, the synopsis, the length (word count), the sales performance, any social media profile or book website, plus links to selling platforms (such as amazon or Goodreads) and a paragraph to let the translator get a feel of the writing style. It is advisable to check if the book has been reviewed online to get a hang of its sales performance. If a book is not doing well in English, no reason it should be a best seller in Spanish. Anyway, amazon does not divulges the stats on book sales (but you can check how it ranks) and the books may be on sale on other platforms such as the Apple Books store, kobo, etc. However, the author could also choose to promote their book by making it part of kindle unlimited, and at that point it won't generate any revenue. Now, most authors using Babelcube are self-publishing on amazon. This means there is no editor promoting their book, no proofreader fixing the mistakes, nobody giving them a feedback but the readers. The sample paragraph on the book profile is likely the first paragraph of the book, which is the one the author went over and over many times, so it is usually good. The translator's has to make a call based solely on that and some guessing on sales performance. What happened is that I offered to translate a book based on a single paragraph, but when the author accepted my offer and I signed the contract, the entire book finally came and it turned out to be poorly written. Periods starting in the past form and then turning to the first singular person (I have asked three times, and three times she looks at me bored, rolls her eyes, looks at her nails and avoids to reply), periods starting in the third singular form and then switching to the second singular (the winner will be awarded: $500k to open your first restaurant, the possibility to make contact which will be great for your career etc. ), the same description over and over (she frowned, he frowned, she though she looks good when she frowns). What have I gotten myself into?! I want out! I fell for the desire of having my name in print on Amazon, to have maybe a book in my hands to show people what I can do... but right now it looks like a) it will be bad publicity if I translate it as it is; b) it will take twice as much to fix and translate to make it legible, all for little or no money; c) with no promotion, there is no way this is going to be a success; and d) you cannot sell a translation which is an adaptation and not a translation, because it is not the same book it was originally written. Please note that I made an offer to translate this book because the author has written at least 6 books, all self produced, and she has a small following on facebook (about 300 people) and is actively involved in indie book websites. There shouldn't be any penalty on my part if I deliver a garbage sample or do not deliver it at all. But I don't want to look impolite, so I am battled on whether to tell the author 'it is not worth my time', make up an excuse ('se me complicó'), be honest saying 'look, you need a proofreader if you want to really make it as a writer' or pick up any suggestion that you, the reader of this post, will write below! I am really ashamed that I told her 'thank you for trusting me with your book' and now want to back off. But, seriously... amateurish writers will get amateurish translators and never make it. What an awful situation! You definitely want neither to waste time on this production nor to have your name associated with it. What happens to you if you end the contract? Are there financial consequences? I think that at this stage, the sample stage, we (the author and I) can both walk away, no harm done. Babelcube have obviously identified a market, mainly in self publishing, but it looks fraught with problems, mainly because the pie gets smaller. Up to 70% royalty, they say. But in reality, it's 60% of the publishing price. "KDP offers a fixed 60% royalty rate on paperbacks sold on Amazon marketplaces where KDP supports paperback distribution. Your royalty is 60% of your list price. We then subtract printing costs, which depend on page count, ink type, and the Amazon marketplace your paperback was ordered from. (0.60 x $15) - $4.85 = $4.15"
Under that calculation, Amazon must be making $6 per book, if I'm not mistaken. So then factor in Babelcube, who obviously need to make a buck or two and that royalty gets squeezed even more, with the pie being cut accordingly. I'm considering having my book translated to Argentine Spanish, but it's doubtful if I would choose Babelcube. However, this means that I'd need to look for a killer deal elsewhere. Just to add a fresh bit of experience. Recently we (my husband and I) were approached by a local publisher interested to have one of their book translated from Italian to Spanish. The publisher is a well established publisher in Argentina and in the rest of the Spanish-speaking world (which is ten times fold the Italian market), but aimed toward a niche market. I asked around about how much is literary translation paid in Argentina and I was pointed to the suggested rates by the AATI (Asociación Argentina de Traductores e Intérpretes), which is currently 750 ARS per thousand words. Now, local translators are known worldwide for being dirty cheap because of the ARS/USD exchange, though providing high quality translations because language education in Argentina is deeply rooted (children attend bilingual schools since kindergarten). This suggested rate is independent of the source and target languages, of the length of the books, of its complexity, of the writing style, so it must be taken with caution. Turns out the actual rate is 20% of the stated suggested rate, which in absolute terms means that the same book of my previous post (250 pages, around 70-80k words) is paid 340 USD. It seems a deal compared to Babelcube prospect earnings, but still... one month and half of work for 340 USD is very little money, also in Argentina. Maybe you can start surveying among AATI members how much they would charge to translate your book. 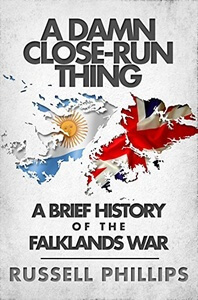 However, given you are in Argentina and the content of your book is particularly meaningful only for Argentina, I strongly recommend you get in touch with a publisher before embarking in this adventure. A good book or a good translation goes nowhere without proper advertising. 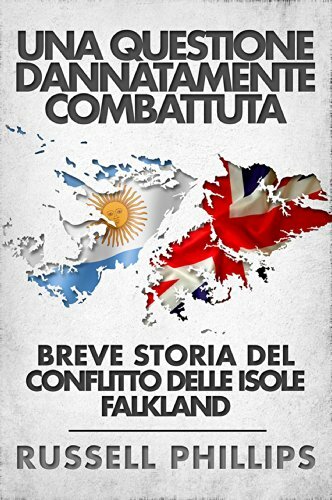 I found this post by British author Russell Phillips, who had his book on the Falkland/Malvinas conflict translated from English to Spanish on Babelcube. The comments to the post are as much interesting as the post itself, as they come from authors, translators and literary agents. While looking for the book cover in English, I found out it had been translated into Italian, as well. Just by reading the synopsis in Italian here, it was clear it was badly translated and no publishing house would have invested money to print it like that. It turned out it was made on Babelcube, too. Visiting the book's page on amazon.it only confirmed my initial reaction: two reviews, of which one complaining about the translation. Bad publicity is worse than no publicity. I still have to find a translator praising Babelcube. So far, I only found two translators saying they found gigs outside of Babelcube thanks to close-to-zero-earning translations they initially did to get their name out there. But from Babelcube translations, no money should be expected and I don't think the translators made up enough, all in all (time spent on 'almost-free' translations + revenue from paid jobs outside of Babelcube). To raise $2,000 it means the book has to gross $2400 in sales (taking into account around 20% between amazon's cut and applicable taxes). This calculation doesn't take into account how big the book should be to make $1,100 a fair compensation for the translator. My best guess would be between 10 and 20k words, depending on the language combination (translating from Spanish to Portuguese is faster than to German or Russian). The potential sales are also different in different market: a Spanish translation has 600M potential readers, while a Polish one less than 40M. Edited once, last by serafina: Added link to Phillips Russell's guest post ( Feb 1st 2019 ). Babelcube seems to be a very grim prospect for a translator. Are there competitors, or are they alone in trying this method of transferring the financial risk to the translator? Amazon should have a program where they can take care of translations if they deem it fit. I think I enrolled many years ago but I never heard from them. I guess the decreasing number of readers is not helping the book market, either. But surely they have a larger market for ebooks? All ebooks are on Amazon, either published by Amazon, by traditional publishers, by other digital publishers. Amazon is both a publisher and distributor, although their main business is in the distribution, of course. After reading this thread, I'll be avoiding Babelcube for translating my book. I have amended my previous post, as well. Mr Phillips seems to have a positive experience, although I would need to read it in Spanish to be absolutely sure. As someone said in one of the comments, any translation to an author’s book through Babelcube is really a gift to the author. There is no investment and no risk taken (except maybe a bad translation) by the author, but an author seeking a translator on Babelcube is clearly one who doesn’t see an actual potential in their book’s translation, it is just taking a shot in the water. One of the most successful Italian translators on Babelcube, who also commented on that post by Mr. Phillips, is still listed on Babelcube to prove his record of translated book, but in his profile he writes he is no longer accepting book translations through Babelcube. Instead, he send la visitors to his website, where prices are clearly stated (a 50k book costs €1200 to translate in a month). I think those are very reasonable prices and the guy seems to be doing an excellent job. He is the main reason why I realized that not even the most successful translator on Babelcube can say Babelcube is a viable source of income. I will state the obvious and suggest that you skip the middle man and look closer to home for translation? It looks like Microsoft acquired Swiftkey and made it available also for iOS, but I don't see an option for computer with touchscreens. Just to close the circle: since my book translation was not yet approved by the author (as I hadn't turned in the first 10 translated pages), I was able to cancel the translation with no penalty for either of us. Good for you! I’m glad you didn’t have to work for peanuts.